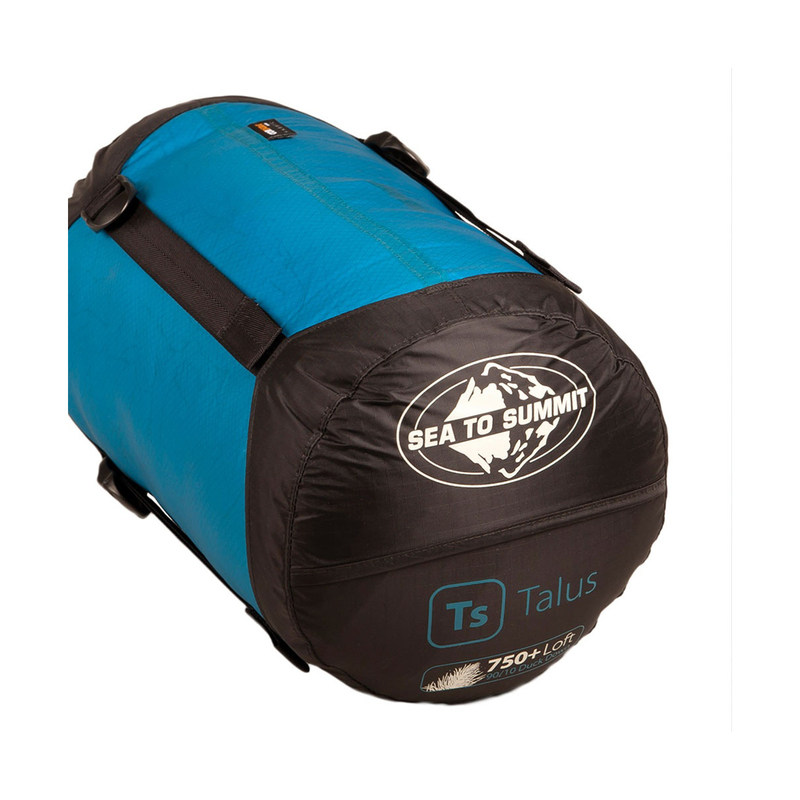 The Sea to Summit Talus Ts1 is a two-season sleeping bag with a relaxed mummy design and comfort-enhancing features, perfect for occasional or regular hikers and campers who want a more comfortable night's sleep without sacrificing build quality. 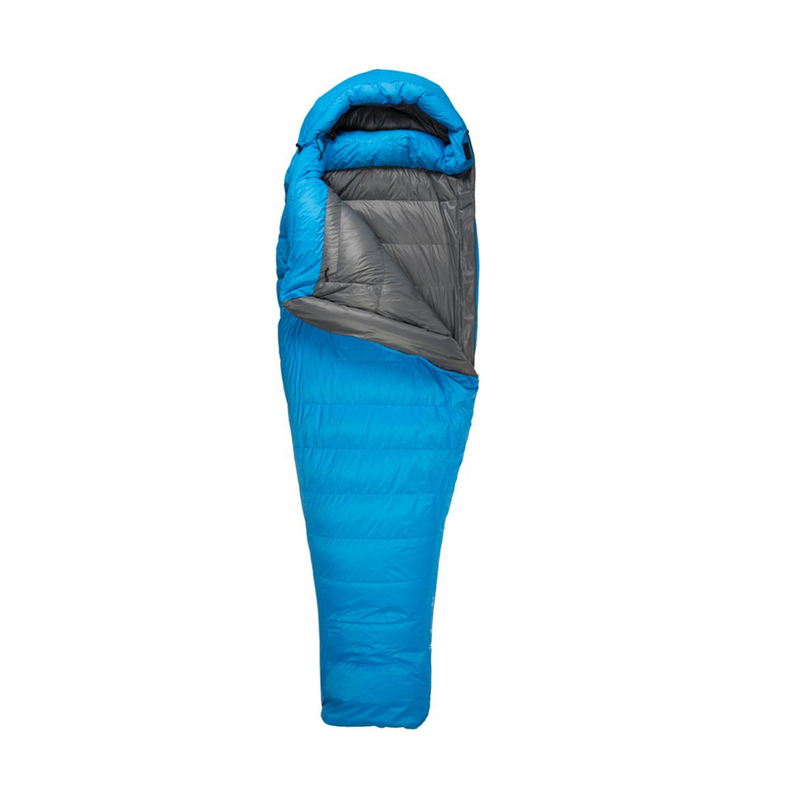 The Ts1 is designed to protect against wind and rain, both inside and out. The Nylon 2D Nano Shell fabric is a highly durable 20-denier nylon material that's 100% windproof, and with a DWR treatment, highly water-resistant. The insulation is Sea to Summit's ULTRA-DRY Down™, a treated goose down insulation which offers 60% more loft and absorbs 30% less moisture when compared with untreated down in wet conditions. • Hood cocoons the head in a way which maximises the available loft without making it feel claustrophobic. 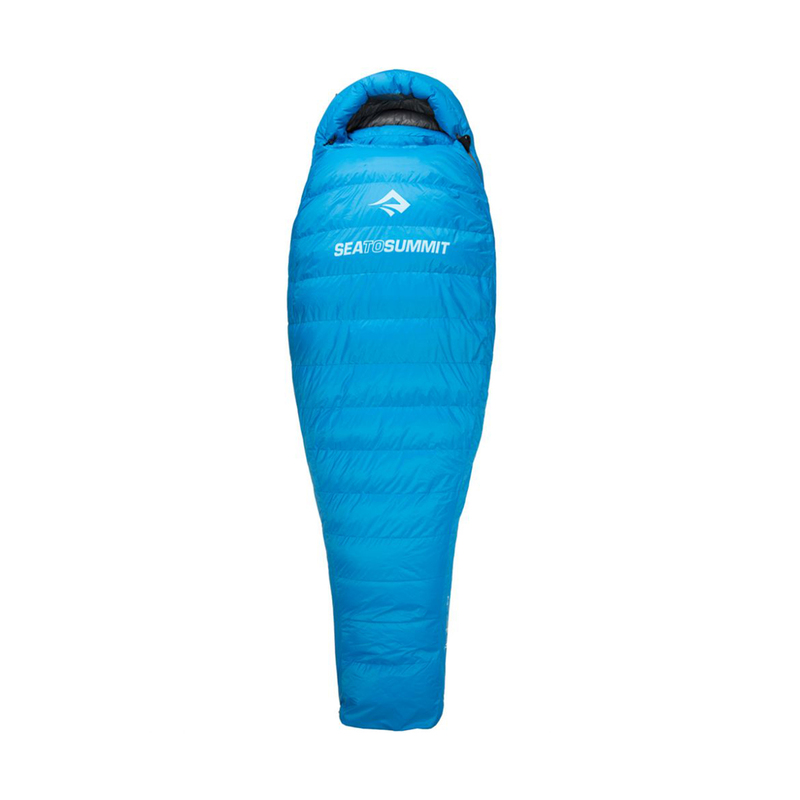 • Nano-level treatment inhibits bacterial and microbial growth, which makes Sea to Summit sleeping bags more hygienic and improves their lifespan. • Uses down that has been sourced and certified by the Responsible Down Standard (RDS).